I’ve just arrived in Tunis and I can’t believe how beautiful it is! The sense of hospitality, like in every other Muslim country I’ve visited, is amazing. And yes, I feel very safe. I’ll round off my north Africa trip in Tunisia. Despite the March 18 attack in Tunis, I still wish to go. First, a city that has just had a terrorist attack becomes one of the safest cities in the world — everyone becomes hyper vigilant (e.g. I’ve been to NYC shortly after 9/11, and Paris right after the Charlie Hebdo attack … I felt perfectly safe). Second, if we avoid cities that have had terrorist attacks, we hurt the citizens who live there and we create even more disparity. 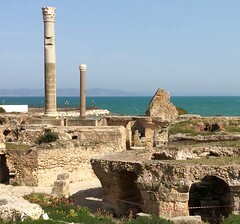 So, I will go to Tunisia, and your advice is welcomed for what I should see and do there. Thank you MT! 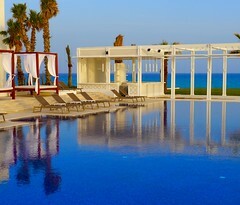 Tunisia is beautiful, the people wonderful and there is so much to see and do there. I hope everyone has a chance to visit, and I hope to be back soon to explore more!